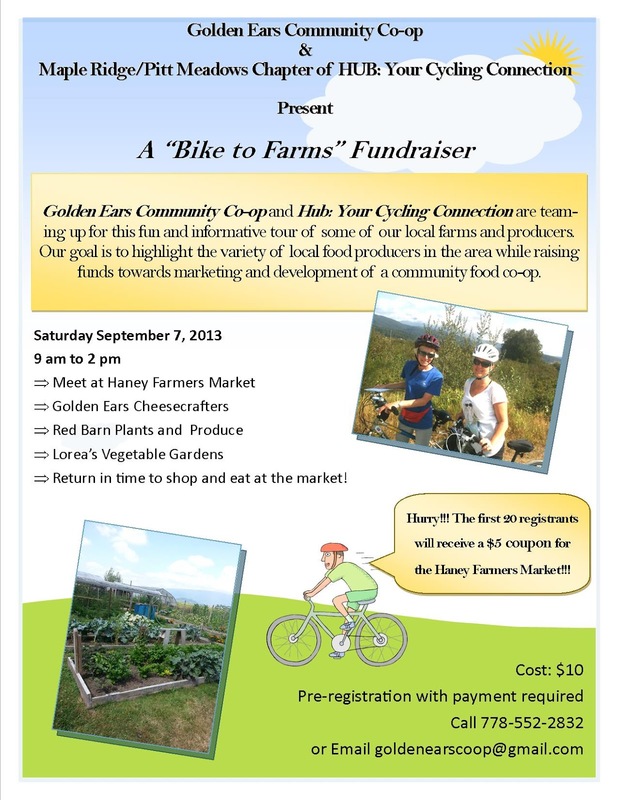 Mark on your calendar our next Discovery Bike Ride to several local farms/food producers on September 7! I'm quite excited about this one, because I think it's so important to support the Golden Ears Food Co-op as well as our local food producers. The Golden Ears Food Co-op will make it easier for all of us to buy local food, and at the same time it will be easier for local food producers to sell to us whatever they produce.